The fear of “leaving our children too soon” is something all us mothers can relate to. 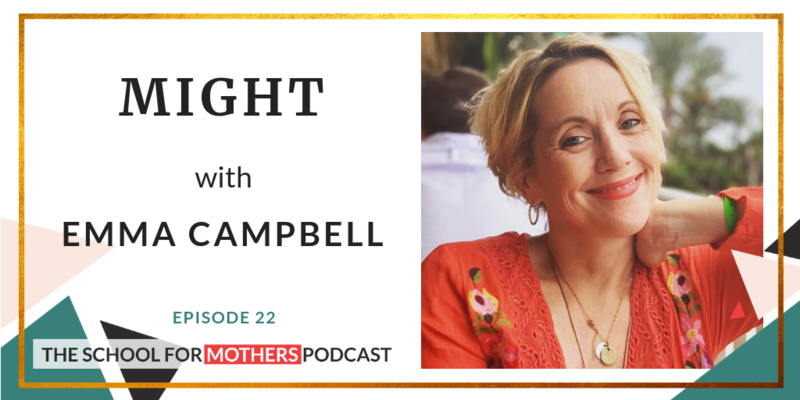 In this week’s episode, MIGHT, I’m joined by Emma Campbell, a blogger, speaker, author, mum of 4 and a cancer survivor. This is a moving episode you’ll really want to listen through to the end! During this episode we talk about desperate longings for another child and how this can sometimes bring multiples! How the darkest of days can turn into truly happy, awe inspiring moments and remind ourselves that in bad times friends will step up and be there, no matter what. 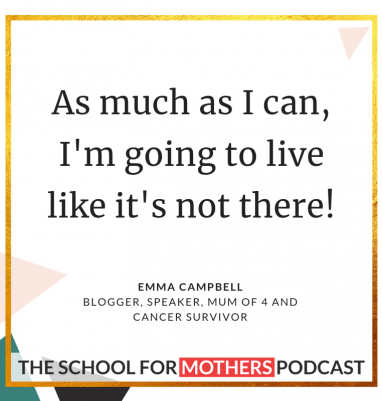 Emma is a blogger, speaker, a mum of 4 and author of All That Followed: A story of cancer, kids and the fear of leaving too soon. She is also a cancer survivor.